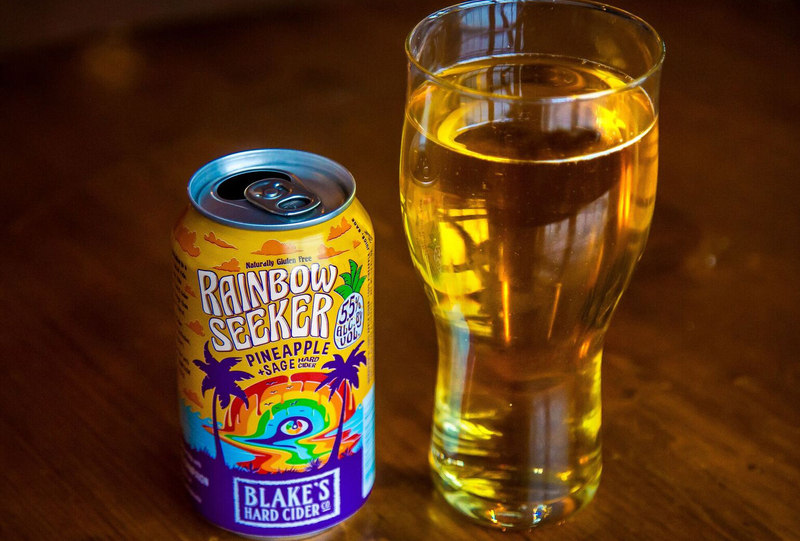 Blake’s Rainbow Seeker is a delicious specialty cider featuring a semi-sweet blend of Michigan-grown apples infused with real pineapple and a hint of sage. The all-natural, gluten-free cider features a 5.5% ABV and it arrives in stores in May across all 19 states of Blake’s distribution footprint – Michigan, Illinois, Indiana, Wisconsin, Ohio, Minnesota, North Dakota, South Dakota, Kentucky, Tennessee, Pennsylvania, North Carolina, South Carolina, Alabama, Georgia, New Jersey and Florida. It will also be launching in Virginia and Washington D.C. this Spring. Rainbow Seeker will be sold in 12-ounce cans in six-pack form and on draft throughout Blake’s distribution network for the duration of the summer. Each six pack has a suggested retail price of $10.99 – $11.99 per with a portion of program proceeds going directly to HRC. Proceeds from Rainbow Seeker, the first of Blake’s Kinder Cider Series, will fund a $40,000 direct donation to advance civil rights and equality programs spearheaded by HRC. The HRC is America’s largest civil rights organization. Its three million members and supporters work to advance a future where LGBTQ people are ensured of their basic equal rights, and can be open, honest and safe at home, at work and in the community. Blake’s will partner with distributors, retailers, restaurant and bar partners to host events during June for Gay Pride Month and in the fall for National Coming Out Day.